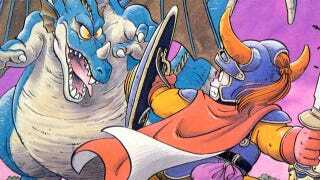 Japan's love affair for all things Dragon Quest is clearly on display this week, as sales of the Dragon Quest Collection—or if you prefer its Japanese name Famicom & Super Famicom Dragon Quest I, II, III—crack a quarter million. Not too shabby! The first three Dragon Quest games for the Famicom and Super Famicom stuffed onto a Wii disc is Japan's bestselling game and the biggest new debut, according to sales tracker Media Create. It was clearly Dragon Quest's week, with fans hungry to revisit the first three games and get a sneak peek at the next entry, Dragon Quest X, with a video preview. That said, for a cookbook starring Winnie the Pooh, Disney's Kuma no Pooh-San: 100 Acre no Mori no Cooking Book for the Nintendo DS did better than I'd have expected. Not many new entries this week, as games like Tales of Xillia and the Resident Evil HD collection continue to sell pretty well, with a handful of Wii, DS and 3DS games filling up much of the top then. Here are Japan's bestsellers for the week of September 12 to 18. On the hardware side, it's the Nintendo 3DS running away with the biggest slice of the pie, outselling the PlayStation 3, currently Japan's bestselling console platform.